Surely golf is a game for posh people, country clubs and networking businessmen, for unfortunate sweaters, politics and trousers? Andrew Greig grew up on the East coast of Scotland, where playing golf is as natural as breathing. He sees the game as the great leveller, and has played on the Old course at St Andrews as well as on the miners' courses of Yorkshire. He writes about the different cultural manifestations of the game, the history, the geography, the different social meanings, as well as the subjective experience, the reflections between shots. He plays alone, with friends and brothers, with ghosts. 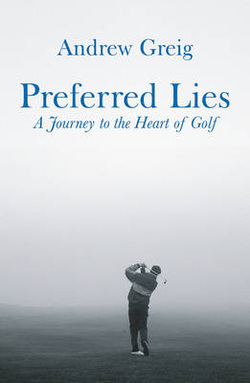 He is looking for the essence of golf, the pure heart of it, which can be found, Andrew Greig believes, on the free 9 hole course on North Ronaldsay. It is published by Orion. To buy this book, or to find out more about the publisher, please click HERE.